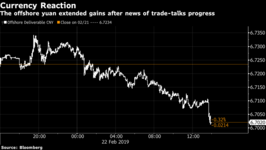 (Bloomberg) — The Trump administration is signaling more caution about progress on a currency deal with China, as the two sides have been haggling over a way of enforcing the deal. Lighthizer’s tone marked a stark shift from the enthusiasm that Treasury Secretary Steven Mnuchin showed in announcing on Friday that the U.S. and China had concluded “one of the strongest agreements ever on currency.” Mnuchin added at the time that work remained on “many issues” of the currency agreement, which would be part of a broader trade deal. U.S. and Chinese negotiators were still at odds on Saturday over how to enforce China’s commitments on its currency, according to four people familiar with the matter. A currency accord will likely require China to avoid devaluing its currency to gain a competitive advantage, Lighthizer said Wednesday. But that’s a pledge that Beijing has frequently signed on to in communiques at Group of 20 summits. The difference, this time, is that the administration is promising that a currency deal will have a mechanism that forces China to keep its word. The Trump administration’s trade talks with China have been plagued by rifts within the U.S. team over how to manage the negotiations, and the president asked Lighthizer to take the lead in talks instead of Mnuchin. 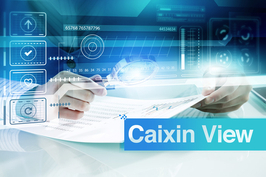 The trade war between the two nations has weighed on the stock market, with Renaissance Macro Research concluding that the S&P500 would be 11% higher without the impact of the feud. The president now wants a trade deal one way or another to buoy markets. Trump’s frustration was on display on Friday during an Oval Office press conference with Lighthizer, Mnuchin and Chinese Vice Premier Liu He. In an unusual public exchange, Trump took issue with Lighthizer’s explanation that any deal would take the form of a memorandum of understanding. 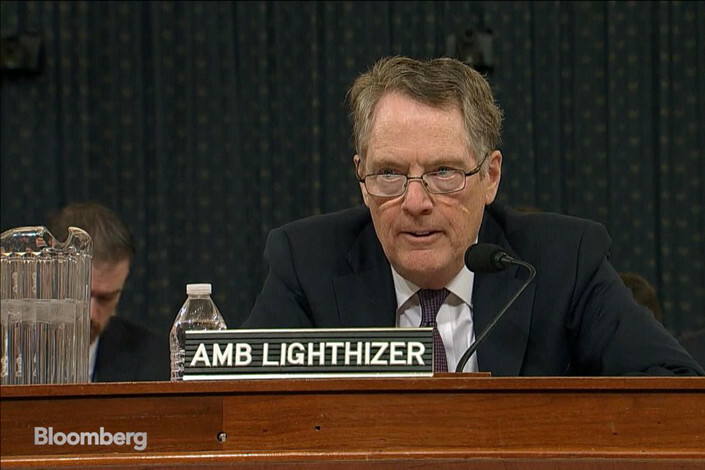 Following that exchange, Trump complained that Lighthizer embarrassed him publicly by correcting him in front of the Chinese delegation and the press, according to two people familiar with the events. Trump is facing pressure from both parties in Congress, with Senate Democratic Leader Chuck Schumer in a floor speech on Wednesday cautioning the president not to settle for a weak deal with China. “It would be a momentous failure if you relent now and don’t receive meaningful, enforceable and verifiable commitments on structural reforms to China’s unfair trade policy,” Schumer said.